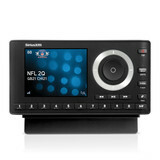 So you want to hear satellite radio outside your vehicle? 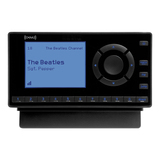 The Onyx EZ is simplest way to bring your favorite stations and programs home. Straightforward and easy to operate, the XM Onyx EZ fits your life. Plus get everything you need to use your compatible SiriusXM Dock & Play Radio in a second vehicle, no additional subscription needed. 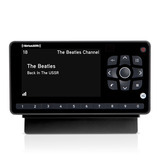 Offer Details: Buy the Onyx EZ with Home Kit from SiriusXM in combination with a new subscription for this radio. Fees and taxes apply. Credit card required at time of purchase. Your subscription will begin either 7 days after the ship date on your packing slip, or when you call to activate the radio (whichever occurs first). If you cancel or terminate your subscription during the first 6 months, you will be charged a $50 EARLY TERMINATION FEE. The subscription plan you choose will automatically renew thereafter and you will be charged at then-current rates. Please see our Customer Agreement for complete terms and how to cancel, which includes calling us at 1-866-635-2349. All fees and programming are subject to change. This offer cannot be combined with any other. Must be a current subscriber to accept this offer. Limit 4 radios per household. Programming varies by subscription package. Reconditioned products may contain used parts and are backed by a 30-day return policy and 90-day warranty. 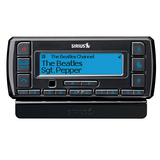 Offer Details: Buy the Onyx EZ with Home Kit from SiriusXM by 4/21/2019 at 11:59 PM ET in combination with a new subscription for this radio and receive the equipment at the discounted price of $14.99 plus get a free Reconditioned Vehicle Kit (a $49.99 value). Fees and taxes apply. Credit card required at time of purchase. Your subscription will begin either 7 days after the ship date on your packing slip, or when you call to activate the radio (whichever occurs first). If you cancel or terminate your subscription during the first 6 months, you will be charged a $50 EARLY TERMINATION FEE. The subscription plan you choose will automatically renew thereafter and you will be charged at then-current rates. Please see our Customer Agreement for complete terms and how to cancel, which includes calling us at 1-866-635-2349. All fees and programming are subject to change. This offer cannot be combined with any other. Must be a current subscriber to accept this offer. Limit 4 radios per household. Programming varies by subscription package. Reconditioned products may contain used parts and are backed by a 30-day return policy and 90-day warranty.